Attorney Donn Meindertsma, a partner in Conner & Winters’ Washington, D.C. office, has published a new book, Marijuana and the District of Columbia: A Comprehensive Resource Guide for Employers. The book discusses the District’s medical marijuana law and the more recent law permitting adult marijuana use for recreational purposes. 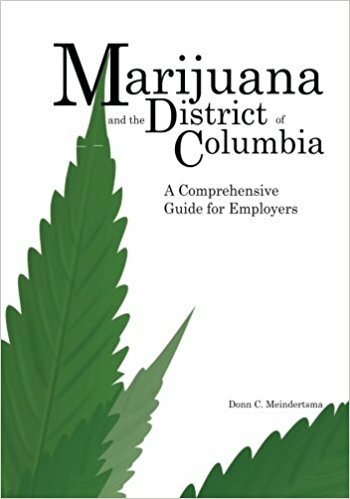 The book address in detail the rights and obligations of employers in the District in light of these laws and the interplay between the marijuana laws and other employment and labor laws, including laws on sexual harassment, worker’s compensation, unemployment compensation, the District’s “ban the box” law, and drug testing for marijuana by employers.